Contains 100 markers per Alphabet (A TO Z)1.5mm A to Z Cable Ferrules (Cables Marker), T-TypeUsed fo..
Pushbutton Operator, Non-Illum'd., Panel MountedMushroom Red 40mm Head, Push-Turn, 22mm1 Box : 10 pc.. Contact Type : Normally OpenAesthetically elegant, Self Wiping ContactsRobust in material of constru..
IEC 60309 Series3 Pin , 2P + E240VAC.. 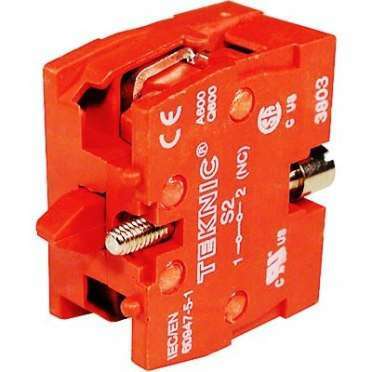 Relays are switches that open and close circuits electromechanically or electronically. Relays contr..